Somewhere on a secluded section of Minas Basin beach in Nova Scotia, you can probably find Dr Michael Cussen memorizing a poem. After he’s spent mindful time orating the poem out loud to himself and the waves, working on memory and sound, he’ll likely wander into the Hants Shore Community Health Centre, a multidisciplinary clinic begun back in 1985 that serves 13 “little rural hamlets” (as Michael calls them) on the southwest finger of the Bay of Fundy. 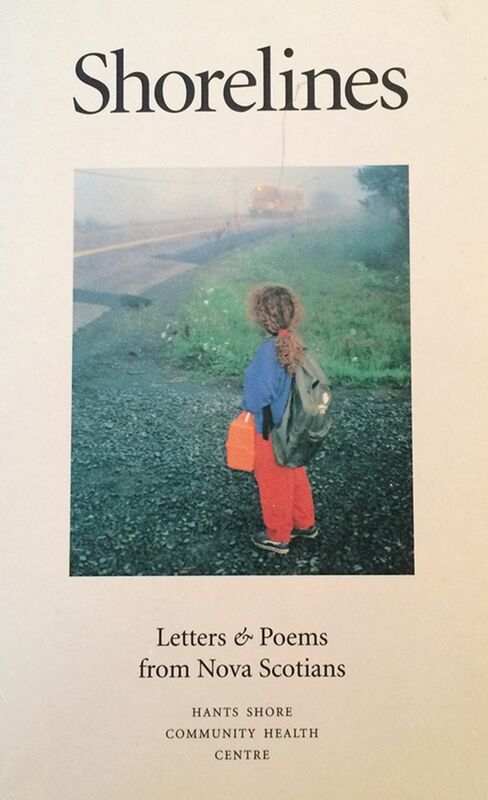 Poetry and doctoring are not so far apart in Michael’s world. While Michael Cussen’s vision of medicine and family practice is anything but “somewhat obscure,” his sense of well-being is firmly anchored in the lyrical, in passionate and inspired engagement with story and literature and education as fundamental to human health. That eye-opener set Michael Cussen down a path, a path he’s still walking on today. A path on which literacy and a local medical clinic are woven together, a path that’s included a letter from Sarah McLachlan about her love of Leonard Cohen’s poem “For Anne,” a path with images of his daughter watching rural Nova Scotia morning mist rise as she waits for a bright yellow school bus, a path in which Michael has sat with circles of elementary school boys, reading them stories about firefighters and police officers. 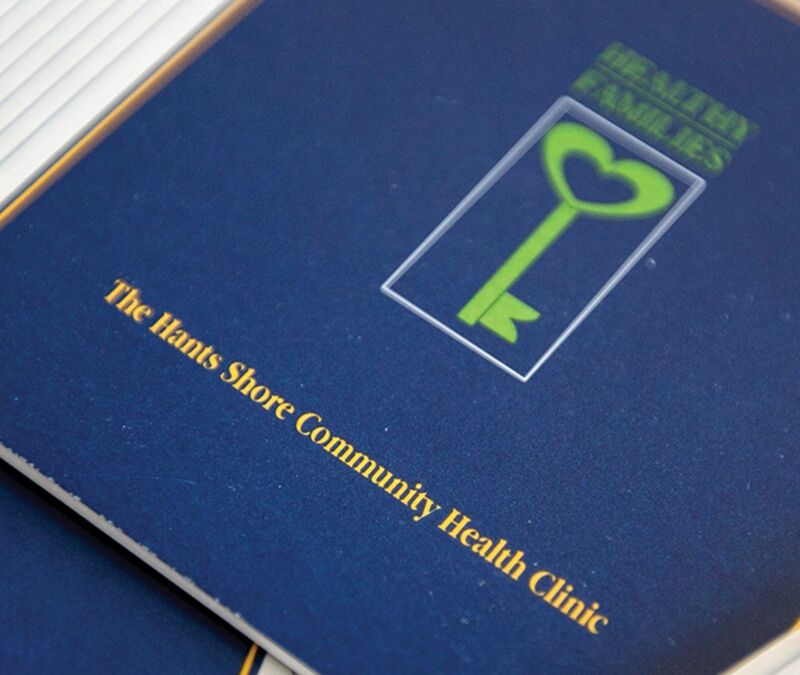 The Hants Shore Community Health Centre, which by the way is the first thing that Google delivers when you search for “Hants Shore”—because the clinic is just that central to the region—embraces all the things that contribute to literacy. Food. Education. Community. Resources. If people are going to learn to read and write, they need more than a pencil, paper, or a book. They need community support. They need care and they need leaders and advocates. People also called out for knowledge about far more important things than thermometers—women along Hants Shore voiced the need to understand surviving childhood sexual violence. And they needed materials they could read and share and learn from. So the Hants Shore Community Health Centre stepped up and supported a group of 8 to 10 women, women who developed resources and facilitated discussion groups. People asked for information about heart health, so Dr Cussen and the centre partnered with a university in Halifax. But not without making darn sure any research committees that worked in the region were chaired by a local expert, and advised by community members—because Michael Cussen is serious, serious indeed, about Freire’s Pedagogy of the Oppressed. The Hants Shore Community Health Centre now has a bursary to support a student from the rural region. Michael has seen people rise into specialized careers from a mist of rural prejudice. He remembers one person who was told she shouldn’t “aim too high” but who had a parent on the Board of Directors at the Hants Shore Community Health Centre. The answer, of course, is yes. Dare. And be poetic. Background photo page 228–9 Minas Basin in Nova Scotia. Photos page 230–1, clockwise from top left Dr Cussen reading to (left to right) William, Shoshanna, Ava, Peyton, Bryce, Dustin, and Brielle at Bo-peeps Nursery School at the Hants Shore Community Health Centre. 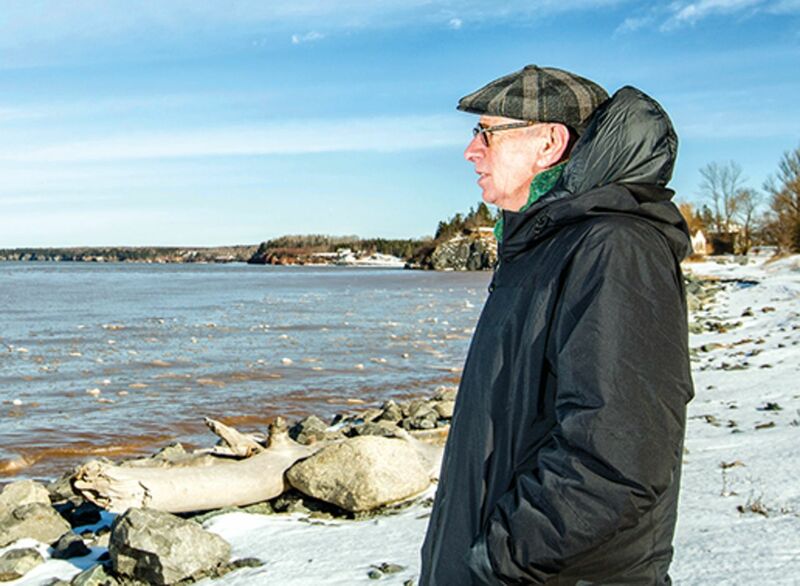 Dr Cussen memorizing poetry on the beach along Minas Basin. Educational materials from the Hants Shore Community Health Centre and Shorelines, a collection of poetry about being on the water. 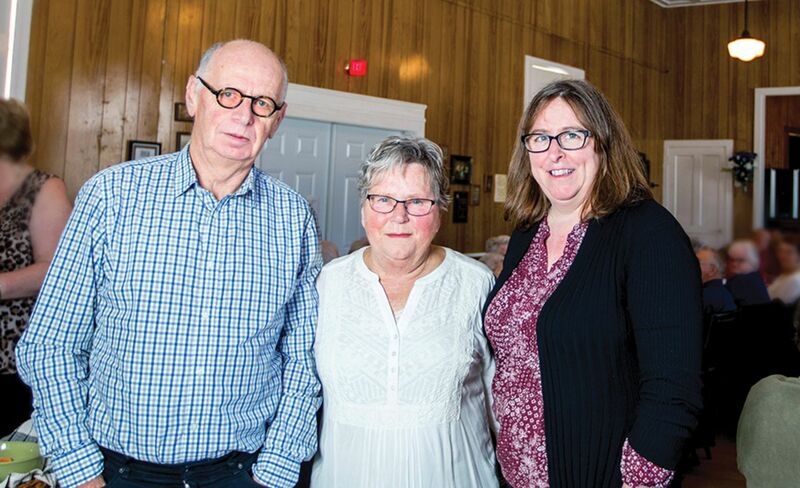 Dr Cussen with Joanne Fields (centre), Facilitator of the Seniors Drop-In Program at the Centre Burlington Hall, and Jean Crawford (right), Community Engagement Coordinator for the health centre. Dr Cussen is a family physician at the Hants Shore Community Health Centre in West Hants, NS. La traduction en français de cet article se trouve à www.cfp.ca dans la table des matières du numéro de mars 2017 à la page e200.